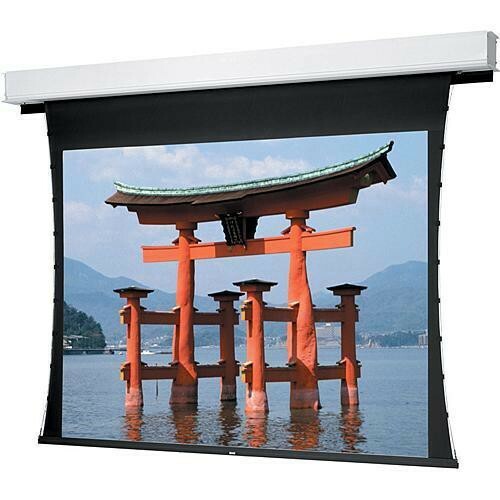 The Dalite 52 x 92" Advantage Deluxe Electrol Projection Screen is designed to have the case installed during the "rough-in" stages of construction and the fabric assembly during the finish stage. This permits you to take your time in choosing the proper screen finish for your installation. It also facilitates changing surfaces should your needs change since you will not have to remove the entire casing from the ceiling. This item contains the Screen Box ONLY. Note: The standard Advantage model (non-Deluxe) will also be ceiling recessed. However, it doesn't have the motorized door which is featured in the Deluxe model. Instead, the Standard version has a 2" slot on the bottom where the fabric drops out.